"Developed over the last 50 years at Esalen Institute, Esalen Massage engages both giver and receiver to deepen awareness and presence." This unique form of bodywork has been developed over the last 50 years at Esalen Institute, Big Sur, CA. Esalen® Massage is known for its long, integrating strokes, and for creating deep relaxation that supports the bodys natural ability to self-heal. People from all over the world come to Big Sur to learn this healing art, and now, among the flowering jungles and lotus laden ponds of Bali, we offer a 26-day Basic Certification in Esalen® Massage. This training will provide you with in-depth experience and practice in basic Esalen® Massage techniques, enabling you to give a professional full-body massage upon completion of the course. Click the links to read more about Ellen Watson and Esalen® massage here. Your study of massage will be complemented by daily meditation, chanting, yoga, chi gong, ecstatic dance, and other moving meditation practices. You will experience in your own body the qualities of aliveness and flowing presence central to this method. The process of self-exploration is a key element, grounding this practice in the experience of your own body, thereby transforming mere technique into a true healing art. The atmosphere and culture of Bali fit well with our intention to teach this method as a path toward healing. The Balinese word for foreigner translates as 'guest', this simple expression conveying the warmth, openness, and beauty which the Balinese embody in every aspect of their lives. As guests of the Balinese during this time, we will have our weekends free to explore the high mountains and hidden beaches of this magical island, absorbing both its tropical beauty and the grace of its people. Learning the art of Esalen® Massage is an experience that often changes lives. Whether you intend to create a new career path, deepen your knowledge of bodywork, or spend time healing yourself through touch, our time together is sure to stay with you for years to come. Having taught certification courses in Bali for a number of years, we notice the lasting power of these memories - for some, as a healing recollection of new friendships made in the extraordinary Balinese landscape; for others, a time of self-exploration and transformation. Whatever your intention, join us for this four week journey! Requirements: This training is open to anyone interested in the Healing Arts! Professional Accreditation: NTBCMB approved provider, CE's for bodyworkers, nurses, Yoga Teachers, EMBA approved. Travel Tips: You will need your passport to be valid for at least 6 months from date of entry, and a Visa if you plan to stay in Bali for longer than 30 days. For a 30-day stay or less, you can get the standard "Visa on arrival" when you land in Bali. MV requires travel insurance for your journey to Bali. For more information please view Travel Info. Food: A nutritious and delicious plant based protein rich mid morning meal is served daily. Housing: Mimpi's patio rooms are home to most of our students. The rooms are spacious, with A/C, refrigerators, either queen/king or twin beds, telephone, lovely bathrooms, and are close to the communal hot springs pools, and the two large swimming pools. Most students elect to stay in shared patio rooms. For single housing, or upgrading options to CourtYard Villa, see pricing below. Transportation: We do not include or organize flights. You may contact us to request private transportation to Mimpi at $75. Alternatively you can inquire about shared transportation. 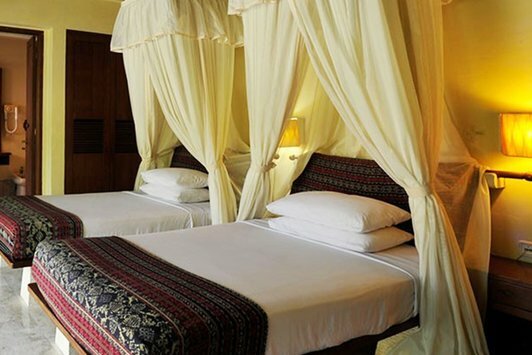 Shared cars will go from Seminyak and Ubud to Mimpi on arrival day with departure at 10am from a local meeting place. Shared transportation will cost $20 per person. This program includes a minimum of 175 credit hours. Students receive additional hours from completing certain out of class assignments. Most weeks include 5-6 classroom days, followed by one or two days off; not all days off are on the weekend. These schedules change as group needs change, and to allow for service trips to local orphanages and clinics in Ubud, snorkeling and diving as well as time for kayaking and other activities. 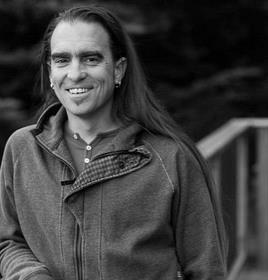 Rob’s work and teaching unites two highly effective approaches to bodywork. Esalen Massage® creates a sense of connection to the body whole, lulling the central nervous system into a deep state of relaxation. DeepBodywork® brings focused attention to muscles and joints impacted by stress or injury. The combination of these two techniques, paired with attention and intention, allows his clients to find relief from old tension patterns and therapeutic benefit for long-lasting chronic pain due to injury. These two forms of bodywork are an effective way to interrupt unwanted tension patterns and bring new energy into chronic or injured areas. It’s no surprise then that bodywork has a cumulative effect; the more you work you receive, the more completely your body can reorganize itself in response to the work. When addressing patterns that have evolved over years, it can take several sessions to unwind the adhesions and re-educate the body (encouraging it to move in ways that will prevent the injury from re-occurring in the future). Reorganizing and resetting patterns in the tissue doesn’t necessarily require a lot of intensity, but it does require a lot of patience. It’s vital when working with structures that have been traumatized to work slowly, deliberately, and with as much gravitation required to affect change, but no more. ​Ellen Watson is celebrating 31st year on the staff and faculty at Esalen Institute in California, where she practices, and teaches various modalities of moving meditation practice of the The Somatic & Healing Arts. While effectively practicing, training and teaching yoga and massage for ten years, Ellen delved into Ecstatic Dance, Hypnosis, Holotropic Breathwork, and received her 500-hour teacher training certifications in Clinical Hypnosis, Yoga, 5Rhythms, Massage & Bodywork. When you join the retreat, Ellen will easily guide you trough your natural transformation by singing, praying, dancing and body work. If you would like to register for this program you will need to complete our registration form. Click the registration button below to fill in the form. Prices include: Daily breakfast & lunch, training manual, all materials/equipment, gift bag and shared airport transfers. ​Early-Bird: We like to get our sign-ups nice and early! $150 off full price with deposit/full payment made before November 1st, 2018. Twin patio rooms are spacious and comfortable to stay with two people. We will aim to pair you with someone most compatible based on your registration form. If you prefer a room to yourself and a large double bed this comes at a reasonable additional cost. 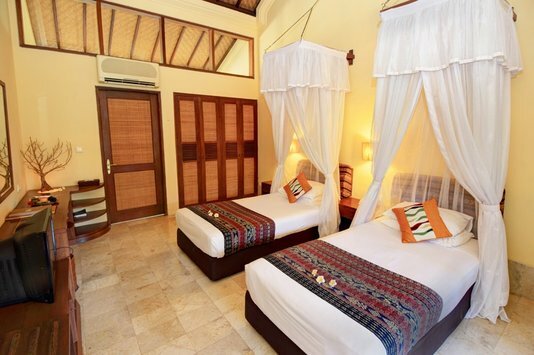 Shared Villas must be booked with 2 people together at the same time. 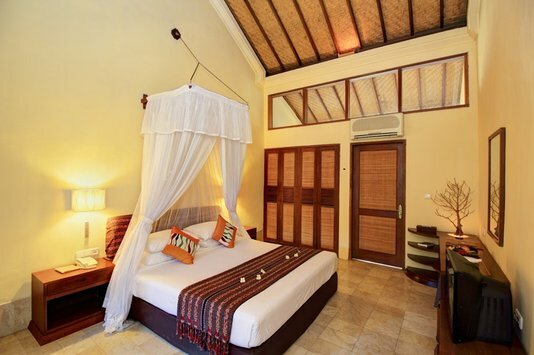 A CY villa features twin/double bed with a mezzanine, private garden area and tub which may be filled with hot spring water. For a taste of luxury, enjoy a CY Villa to yourself for maximum comfort and privacy. 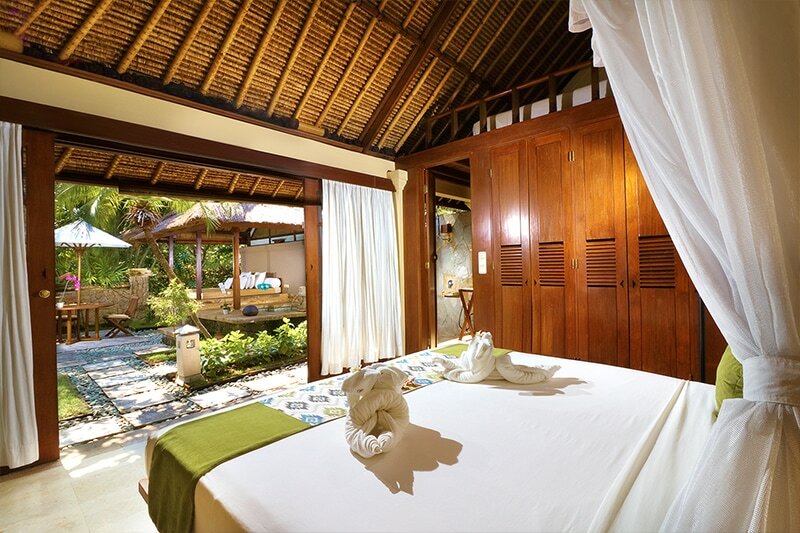 Enjoy your own spacious area with garden and hot spring bath for total relaxation. If you prefer to stay off-site, there are some alternative options available as you can find on Agoda or similar Accommodation Search websites. Please note that it will be necessary to stay as close as possible as class can begin very early. With this option MovingVentures is not responsible for accommodation quality standards as with our on-site packages above. Tuition price includes all tuition costs, off-site entrance fee to Mimpi Resort & Meals. If you would like to reserve your space and pay the remaining balance up to 60 days before the start of this program please click the link below.